One individual report per input functional timeseries will be generated in the path <output_dir>/reports/sub-IDxxx_task-name_bold.html`. An example report is given here. Mosaic view of the average BOLD signal. 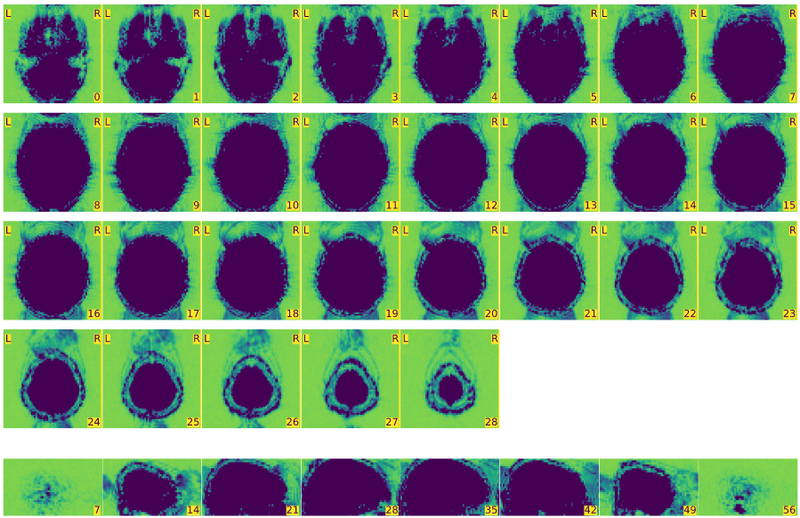 Mosaic view of the temporal standard deviation. 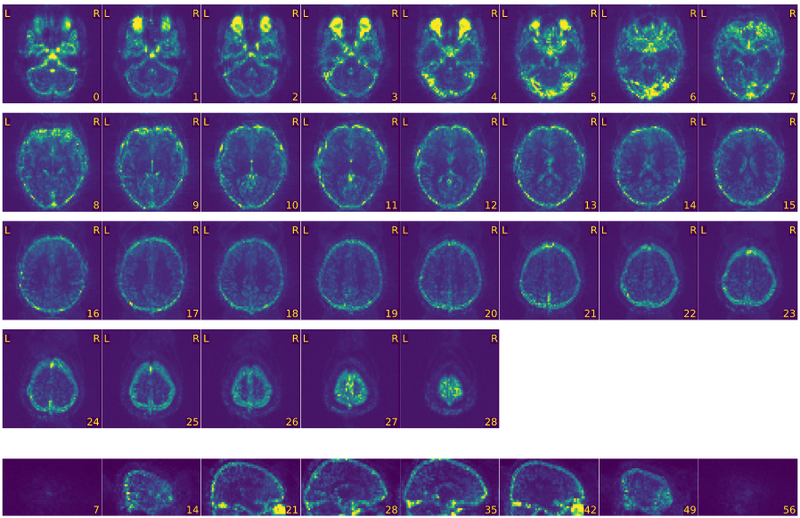 Mosaic view of the average BOLD signal, zoomed-in to the bounding box of brain activation. Mosaic view of the average BOLD signal, with background enhancement. 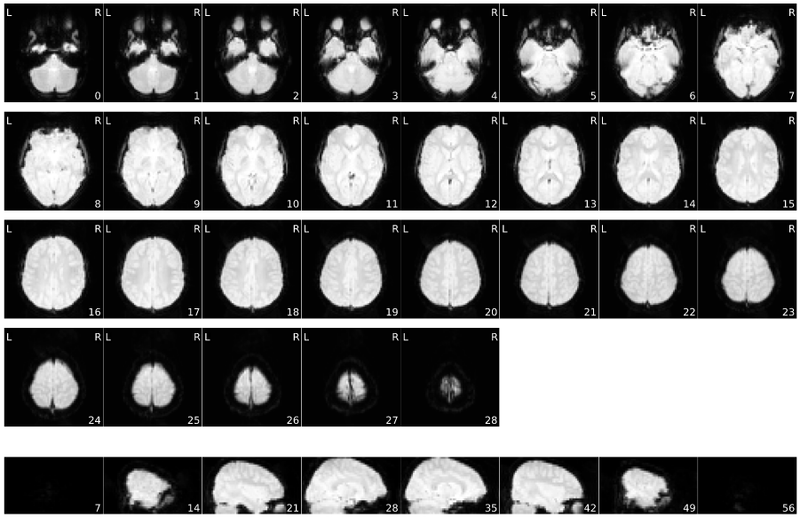 One rows of axial views at different Z-axis points showing the calculated brain mask. 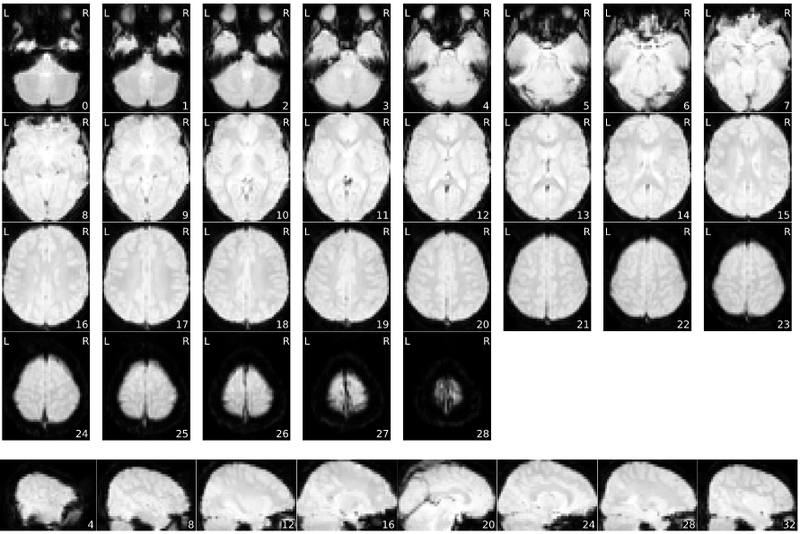 Mosaic view with animation for assessment of the co-registration to MNI space (roll over the image to activate the animation). 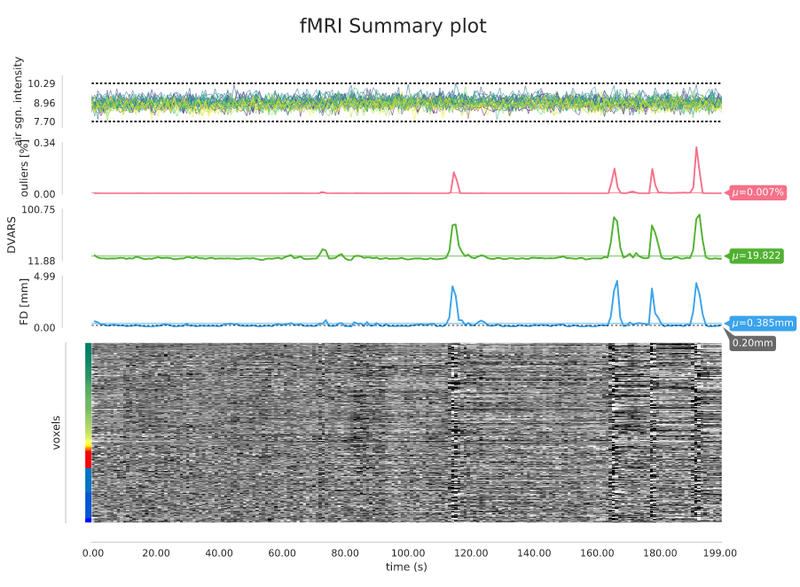 If some metadata was found in the BIDS structure, it is reported here. © Copyright 2016-2019, The MRIQC developers Revision b3a58162.